Friday 10/5 thru midnight Sunday 10/7. Browse through the store and add all your favorites to your wish list. You don’t want to miss a great sale! Click Kellybell Designs Store to start shopping now! 1. Head over to the Kellybell Designs Instagram account. She’s @KellybellDesigns. 2. Click to follow Kellybell Designs. There will be lots of future promotions offered through Instagram so it’s a good idea to follow her and stay connected. 4. 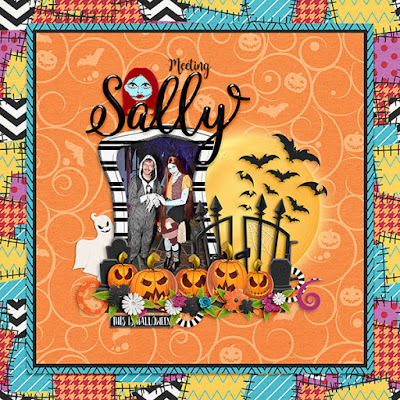 Add the Nice To Meet You Jack Skellington kit to your shopping cart at Kellybell Designs Store. At checkout, use the coupon code and the kit will be free. 5. The coupon code is only valid on Saturday 10/6, through midnight EST. Here's what I made with the freebie kit. This beautiful Animal Kingdom freebie will be offered on the Kellybell Designs Facebook page on Saturday. Make sure you Like and Follow my page to keep posted on events and new releases. If you’re not already a member, make sure you join the I ♥ Kellybell Designs Facebook Fan Club Page. The Creative Team will be hosting an exclusive Facebook Fan Club Freebie Train on Saturday. Each CT Gal will be posting their freebie throughout the day, so check the Facebook group often. At the end of the day, you’ll collect 10 freebies. Here is the freebie I made that you can get on I ♥ Kellybell Designs Facebook Fan Club Page. Hope you enjoy all the goodies that my team and I have to share with you! 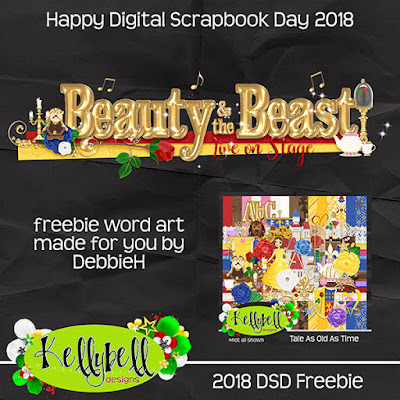 Have a great weekend celebrating Digital Scrapbooking Day!